Technological advancements in Ireland have for years been aided by the Irish Technology Leadership Group, founded by John Hartnett. 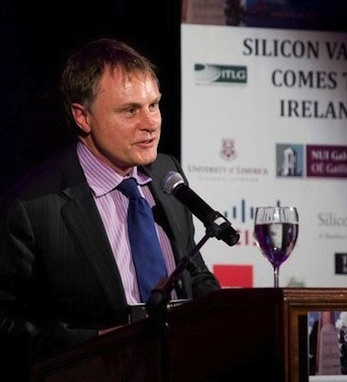 Hartnett, who is also president of ITLG, helped to found the now annual “Silicon Valley Comes to Ireland” event in 2007. This annual event selects twelve companies to work in private workshops with members from the delegation. Two companies are then chosen to attend as award winners at the Stanford University/Irish Times Innovation awards in California. He is a member of the Wireless Advisory Board in the U.S. for Enterprise Ireland and is an active technology investor. He currently serves on Secretary of State Clinton’s Northern Ireland Working Committee. John is also a member of The American Ireland Fund and the US-Ireland Alliance.